The truly fabulous Brighton-based The Mountain Firework Company are coming to Rye to play a special gig on Friday March 1, 2019, at 8:00pm in the Rye Community Centre. 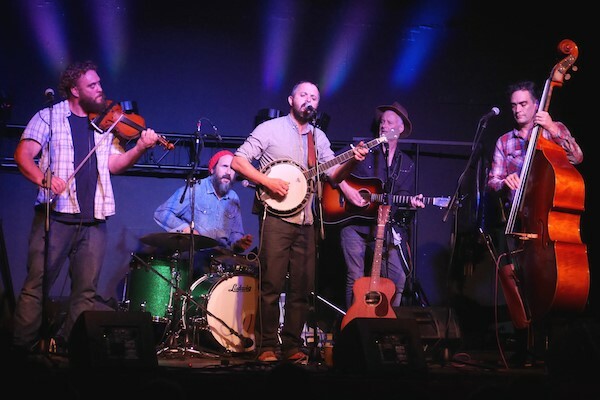 The hugely talented 5-man combo, who play their own brilliant blend of alt-folk, country, Americana, Bluegrass, are coming back to do an out-of-season gig for Rye Arts Festival, following popular concerts during both the 2017 and 2018 Festivals, when the crowd went wild for them. If you’ve seen them before, you’ll know how good they are. If you haven’t, then buy tickets and you won’t be disappointed. At £12 this is a real bargain for a band of such class. “It won’t be obligatory to dance on the night or buy a CD of the new album, but I’m warning you both these could be very much on the cards!” says Mike Prince. You can book tickets online here, or you can go into Grammar School Records in Rye High Street where the friendly staff will be more than happy to sell you a ticket! Some tickets may be available on the door, but don’t leave it too late! Image Credits: courtesy of Rye Arts Festival.